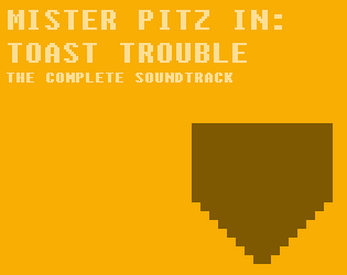 This is the soundtrack for Mister Pitz in Toast Trouble. The game is not finished, but I decided to release the soundtrack because the soundtrack is finished. The soundtrack was made in FamiTracker with the VRC7 expansion chip and was composed by Jaden Houghton (DaJoshy). Also, the reason why some files say "Toasted Trouble" instead of "Toast Trouble" is because the original title of the game was Mister Pitz in Toasted Trouble and those files were made during the beginning of this game's production. There is a zip file, nsf file, and ftm file included in the downloads.